As many of my regular readers will have guessed, Norfolk County is one of my favorite places to hike – land of the declining tobacco industry, quaint port towns, and nature sanctuaries preserving rare or endangered species (Norfolk County, 2014). Though I love all of Ontario’s Southwest, Norfolk has a special place in my heart for its ecological and cultural assets. 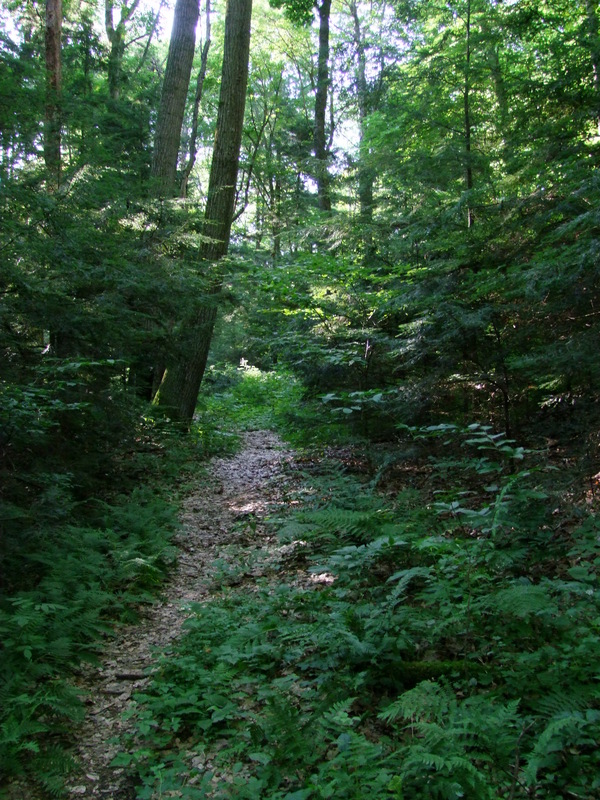 Spooky Hollow Nature Sanctuary is located north of Normandale within the Norfolk Sand Plain (Head-of-the-Lake Land Trust, 2010). 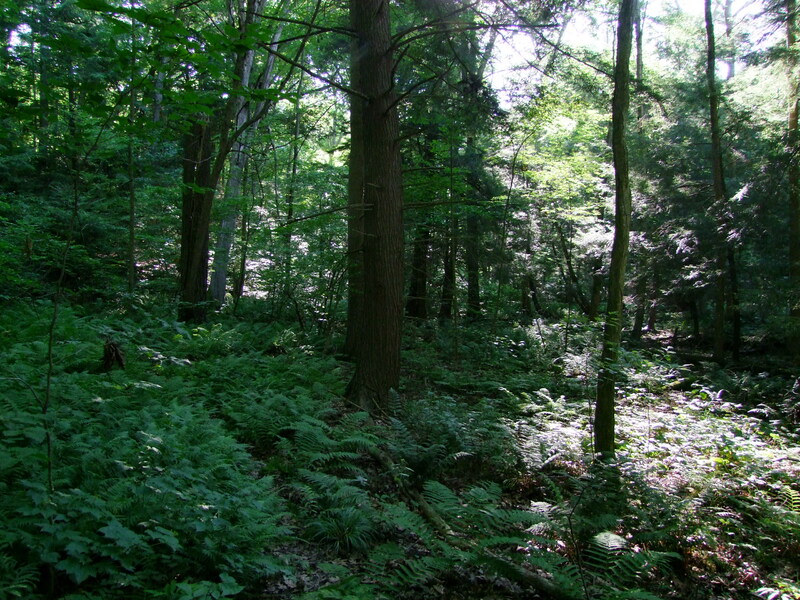 The Hamilton Naturalist’s Club (HNC) purchased Spooky Hollow in 1961, thus becoming “Ontario’s first land trust” (see note, below) (Hamilton’s Naturalists Club, 2014). Low impact activities are permitted in Spooky Hollow, but motorized vehicles, horses, and bicycles are not allowed; nor is the removal of any natural materials, hunting, or fishing (Hamilton’s Naturalists Club, 2014). Further, the club requests that you contact them for permission to access Spooky Hollow. 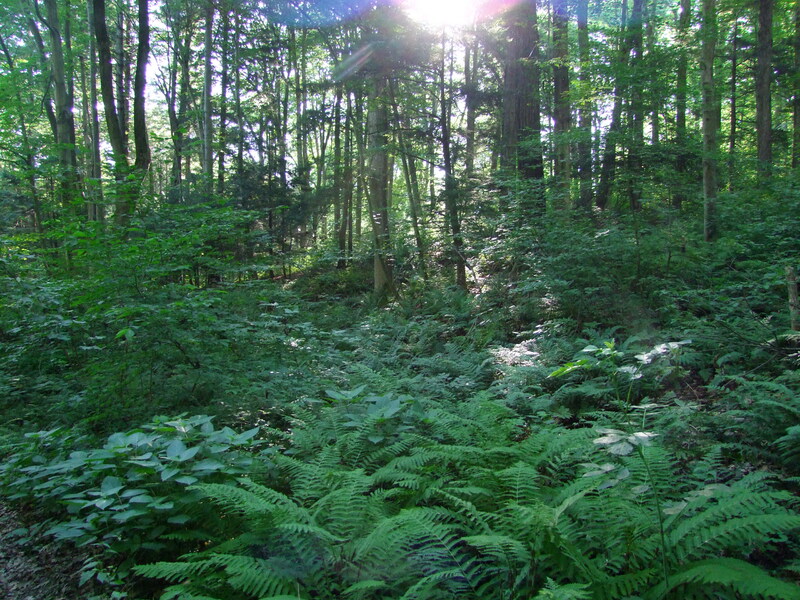 “American Chestnut, an endangered species, as well as over a dozen provincially rare vascular plants, including remnants of rare sand prairie communities are found within the sanctuary. Rare birds such as the Cerulean Warbler and Red-shouldered Hawk and animals such as the Badger have also been sited. 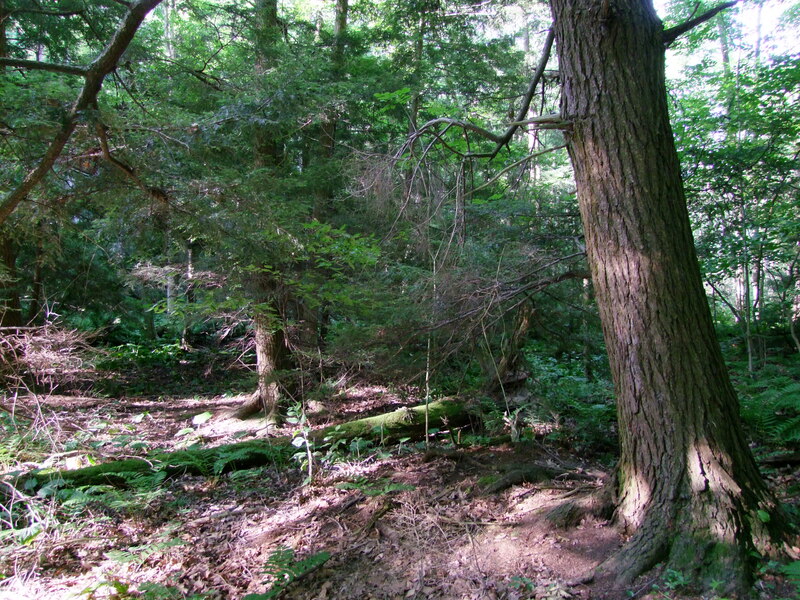 The large size of this natural area provides important interior forest habitat” (Head-of-the-Lake Land Trust, 2010). Nowhere is it more important to ‘walk softly’ and avoid damaging the environment than in this beautiful and significant landscape. It is also a place that everyone should be able to experience at least once in their lifetime! *Note: Marion Shivaz, HNC President and long-term member, was a major player in this land purchase. Thanks to Dr. Paul Eagles for bringing this detail to my attention! Walk softly along these trails. Verdant foliage in the nature sanctuary. Early morning is the best time to hike in this naturalist’s paradise. The understory in Spooky Hollow is very diverse.